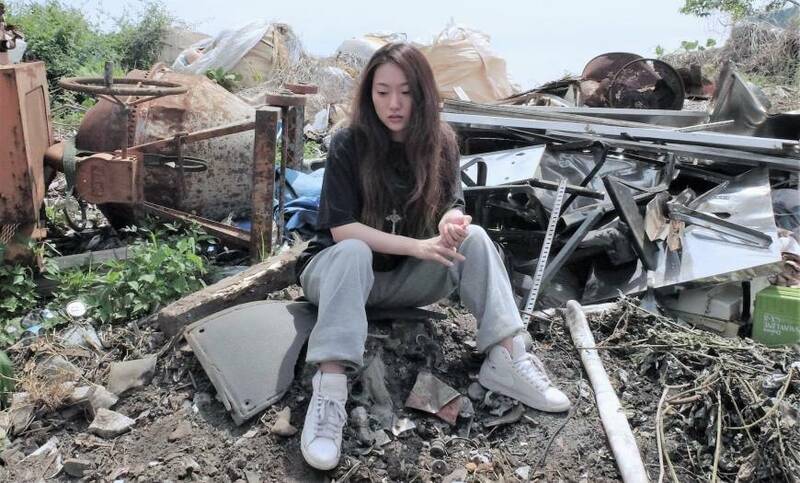 Lose yourself in the music: Rapper Sakura (Hanae Kan) tackles her fears and anxieties in Daisuke Miyazaki's realistic drama "Yamato (California)." | © DEEP END PICTURES INC. The American military bases in Okinawa are often in the news, usually because of an accident, protest or crime. The bases elsewhere in Japan, not so much. These reminders of a postwar occupation now seven decades in the past have mostly faded from the public imagination. 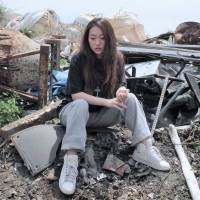 Daisuke Miyazaki’s true-to-life drama “Yamato(California)” shows, however, that the bases still loom large to those who live near them, including his sullen heroine Sakura (Hanae Kan), a high school dropout and aspiring rapper. Completed in 2016 and screened at festivals here and abroad, including the 2017 Osaka Asian Film Festival where I first saw it, “Yamato(California)” has a lived-in realism — it’s set in Yamato, Kanagawa Prefecture, near the Atsugi naval air base, and replicates the deafening aircraft noise the locals in the film have become inured to. At the same time, it is not a docudrama about the problems the base has caused. The film instead focuses more on the personal, with welcome touches of humor, strongly realized characters and none of the stereotyping endemic to local “international” films. Rapper Sakura wants to tell the world about everything from her feelings of worthlessness to her fear that life is passing her by. Her relationships with local rappers are fractious — she thinks they’re pun-spinning poseurs — and her romantic life is nonexistent. But her single mom, Kiko (Reiko Kataoka), is tolerant and big-hearted, while her nerdy brother, Kenzo (Haruka Uchimura), wishes her well, even as he needles her about her pretensions and failings. The story kicks into gear when Rei (Niina Endo), the daughter of a Japanese mother and Kiko’s now-absent American boyfriend, arrives for a visit. Speaking fluent Japanese and looking like a teen fashion model, Rei takes in her new environment with a cool, level gaze. Of course, the hot-tempered and insecure Sakura turns her back on her. Politely rejecting her hosts’ ideas about the Japan foreigners want to see (temples, Harajuku), Rei smilingly cajoles Sakura to “take me where you usually go.” Riding Sakura’s scooter, the two girls visit a Don Quijote, a hip-hop club, a shopping mall, an eel restaurant and, finally, an abandoned mobile home where Sakura writes lyrics and dreams. This light-hearted bonding sequence suddenly darkens when a now-intoxicated Rei, a hip-hop fan herself, asks Sakura to rap for her — and Sakura refuses. Rei lashes out: “You’re a fake, aren’t you?” And even worse: “You’re just copying.” Their idyll of Japanese-American harmony abruptly ends. The story, however, continues to defy formula as Sakura, with Rei as a goad, slowly gathers up the courage to confront her demons and fears, from delinquent former pals to the public stage. This narrative arc is hardly new — one point of reference is Nobuhiro Yamashita’s much-loved 2005 girl band movie “Linda, Linda, Linda” — but Miyazaki, who also wrote the script, delivers something different from the expected rousing climax, just as Sakura is more than a zero-to-hero plot construct. As played by the consistently interesting Kan, she is both a pouty, posturing teen —that is, obnoxious — and a genuine rap artist in the making — that is, eloquent and incisive. Kan expresses the various sides of Sakura’s personality, as well as her cultural crossings, with fire and precision. Compton, California, meet Yamato, Kanagawa.